A strategy for future development. We have been commissioned by South Gloucestershire Council to prepare an overarching strategy for the development and evolution of seven localities in the north and east fringe of Bristol, plus Yate. This work is helping to inform the new Local Plan for the period up to 2036. South Gloucestershire Council has asked us to map the capacity for change in seven localities that comprise approximately 60% of the north and east fringe of Bristol, as well as Yate. Our work includes identifying all parcels of land that might have development potential and assessing these against technical, policy and other deliverability constrains. A central feature of the work is a shift in ambition and approach to move away from a perpetuation of low density suburban development and towards a model based on a network of distinctive neighbourhoods around strong urban centres. For each locality we have set out a ‘story of place’ as the basis for a future place proposition. 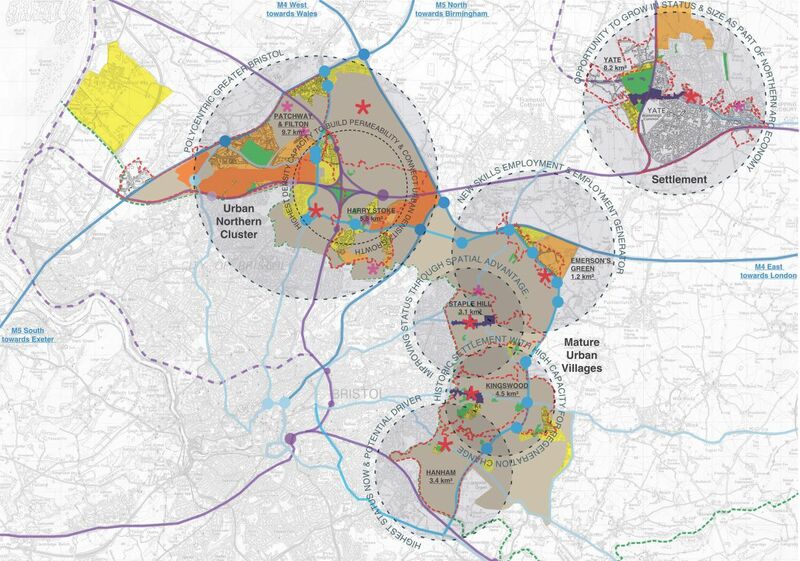 This work forms part of the evidence base for the emerging new Local Plan up to 2036 and Nash Partnership has supported South Gloucestershire Council on eight consultation events in the first stage of Local Plan preparation. Critical to this work is our ability to blend the skillsets of our planners, geographers, urban designers and regeneration specialists. We believe it is essential to create clarity about the future status and ambition of these areas, to build confidence and drive the next phases of developmental change in ways that create more sustainable, liveable and economically vibrant places.